Way before the Windy City got all fancy with its ’zas, Giordano’s was here. 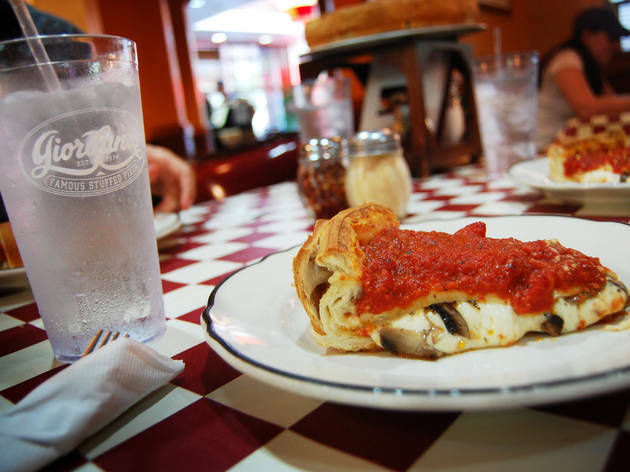 Serving up hefty deep-dish goodness to Chicagoans since the ’70s, this chain is still pleasing masses with no-frills gut-busters topped with sausage, spinach and other classics. The chain also serves salads and red-sauce dishes like lasagna and chicken parmesan, but why waste your time? El stop: Red, Brown, Purple to Belmont. Bus: 8, 22, 77.